In the upcoming Lok Sabha elections, Prakash Ambedkar of the Bharipa Bahujan Mahasangh and Asaduddin Owaisi of the All India Majlis-e-Ittehadul Muslimeen (AIMIM) have joined hands to form a third front in Maharashtra under the banner of Vanchit Bahujan Aghadi (VBA). Loosely translating to Deprived Bahujan Front, the alliance aims to mobilise a conglomeration of caste groups that have been traditionally kept away from power. While political pundits have expressed concerns about their electoral merit, the VBA is gradually picking up momentum, leaving the other two alliances, namely BJP-Shiv Sena and Congress-NCP, concerned. VBA is premised on Amebdkarite principles and claims to bring historically deprived communities into mainstream politics to fight for their own rights. Historically, state power in Maharashtra has been mainly confined to the Marathas and Brahmins. The rest of the communities have had no option but to align with these groups to secure their rights and privileges. 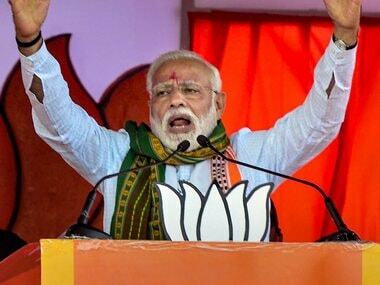 Major parties like Congress, Shiv Sena, NCP, and BJP have always looked at these communities as vote banks but have never managed to induct them into mainstream politics for reasons of not giving them adequate representation in the Lok Sabha and the Vidhan Sabha. While the Brahmin-Maratha nexus of power in Maharashtra has been questioned time and again, it is primarily in the form of VBA that it has snowballed into a political movement. I have been following the VBA over social media reportage, and other mainstream news channels, both in English and the vernaculars since its initial meetings. Advocate Prakash Ambedkar and other spokespersons of VBA routinely get questioned about the nature of their alliance with AIMIM, which a large section of media believes to be sectarian and divisive. If VBA is out to oppose communal politics, they inquire, why align with AIMIM? One cannot help but notice the inherent Islamophobia behind these questions. Islamophobia runs deep in the Maharashtrian psyche, given that popular historical discourses around Shivaji have been normalising Muslim hatred for decades. In the context of growing hatred that is routinely meted out to the Muslim communities in India, one should ideally welcome a party like AIMIM which foregrounds issues and arguments concerning the Muslim communities in India. AIMIM’s growing support in states other than Telangana comes from lack of such political leadership within the Muslim communities. In 2012, AIMIM made its entry into Maharashtra by winning the municipal elections in North Maharashtra. In the 2014 state elections, it had two MLAs elected to the Assembly. Maharashtra has a sizeable Muslim population in various pockets and their representation in mainstream society is abysmal. Given that the Dalits, Bahujans and Muslims are historical allies over their shared trauma of oppression from caste Hindus in Maharashtra, it is but natural that a front of deprived masses should include Muslims. It is also imperative that VBA remains alert about the caste hierarchies that exist among the Muslims in India. Muslims in India are not a homogeneous community and are, one could say sharply, divided on the basis of caste, among other factors. 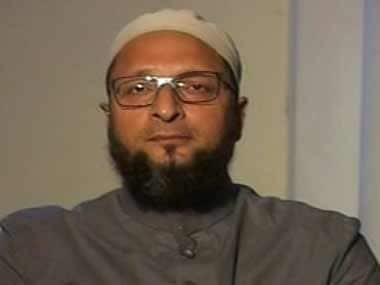 Owaisi himself is an upper caste Ashraf and his party has been routinely criticised for sidelining Muslims leaders from the mariginalised castes. Thus, AIMIM’s alliance with the VBA has to be scrutinised not because of Owaisi’s persona of an unapologetic Muslim leader and AIMIM as a political front that is ‘engaged in minority appeasement’, but on AIMIM’s commitment to the vision of VBA in terms of lower caste Muslim representation. 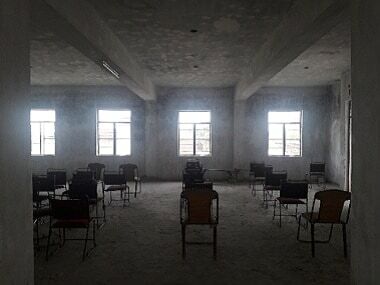 VBA raised eyebrows when it declared the first list of its Lok Sabha candidates wherein, barring the exception of its Muslim candidates, each candidate’s caste was mentioned in front of their names. This declaration has attracted a lot of criticism as people believe that it is a move to polarise votes on the basis of caste identity. The declaration of caste names is, in fact, a clever political strategy. There are several caste and tribal communities in Maharashtra that have never been given adequate representation in the sharing of power. VBA has given proportionate representation to nomadic groups, peasants, fishing communities, and other such smaller groups that have been deprived of any political representation. By doing so, VBA has hinted at the concentration of power in the hands of Marathas and Brahmins, an undeclared reservation. The democratic project of post-independence Indian state was to bring the most oppressed communities into mainstream politics, thereby flattening the uneven distribution of power and resources enforced by the caste system. But hardly any national party has attempted to realise this constitutional goal. Rather, history is witness to the fact that the caste-based social hierarchies have been reproduced by adapting them to the electoral frameworks. In this context, VBA’s declaration of castes of their candidates is in sync with their fidelity towards strengthening the egalitarian vision of Indian democracy and calling out the hidden casteism of the dominant electoral parties. Who is VBA made up of? Prakash Ambedkar himself is an astute politician and a political analyst. He is associated with many people’s movements in various capacities. He also seems quite aware about the responsibility as well as the goodwill that he enjoys as the grandson of Dr BR Ambedkar. 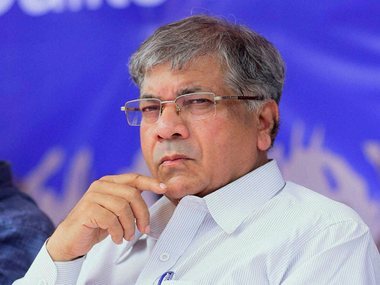 Though the VBA has mobilised itself under Prakash Ambedkar’s leadership, it is made up of several individuals who are associated with the Phule-Ambedkarite movement in Maharashtra. A cursory look at the list of candidates fielded by VBA and their spokespersons reveals that they all come from deprived sections of the Maharashtrian society. 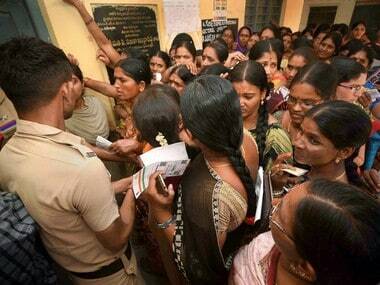 Several of them are well-educated and have been part of people’s movement in Maharashtra. Another striking feature of VBA’s leaders is that all of them are very good orators, a skill ably demonstrated at their public meeting held at Shivaji Park, for instance. Their meeting at Shivaji Park was historic as we saw VBA leaders asserting themselves and openly challenging the well-established parties like Shiv Sena, RSS, BJP, Congress, NCP from a platform that was once famous for Bal Thackeray's divisive hate speech. VBA’s leaders leverage the art of rhetoric to their benefit and bring principles of social justice and equality into mainstream political speeches, a welcome change from the divisive polemic we are otherwise subjected to. It is only through such effective oratory that one can diffuse the threat posed by the polemical and divisive speeches of the Hindu nationalists and retrieve a sense of civility in our public discourse. VBA as a political project resonates with the vision to establish equality through the democratic process in post-independent India for two reasons. Firstly, it aims to shuffle the concentration of power in few castes and redistribute it to ensure a wider representation in state’s politics. Secondly, it is emerging as a regional force that can strengthen the federal aspect of the Indian political structure. Since India is a country of diverse forms of inequality, concentration of power in the hands of one party does not ensure the eradication of these inequalities. Moreover, such concentration of power creates a fertile ground for fascism to thrive. VBA is indeed a litmus test of the maturity of Indian democracy as it is imagined to empower its most downtrodden people. VBA is pregnant with myriad possibilities that can change the texture of state and national politics and hence needs all the momentum it can gather because if it fails, the onus of that failure is not on VBA alone but also on those of us who otherwise fear the loss of democracy in India.